A ‘glamorous’ cake for Jennifer’s 21st Birthday. 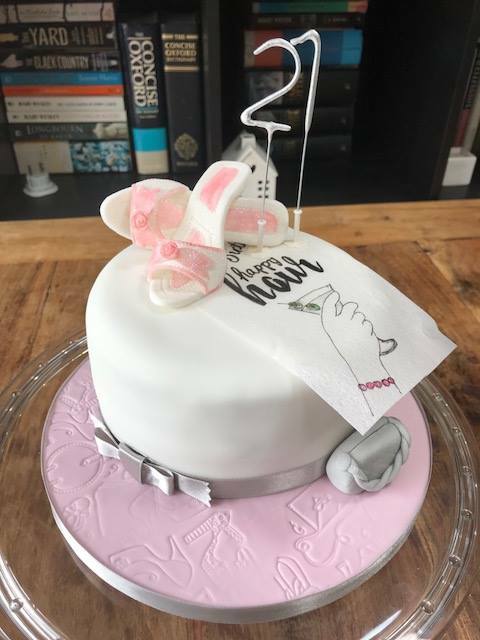 Chocolate cake with chocolate buttercream, covered in soft white fondant with modelling paste shoes, fondant bag and a hand drawn Happy Hour flier in edible ink onto wafer paper. Oh and an embossed cake board. Hope you had a super time celebrating!